The Ice Swimmer is the latest in the Oslo Detectives series by Kjell Ola Dahl to be translated into English. 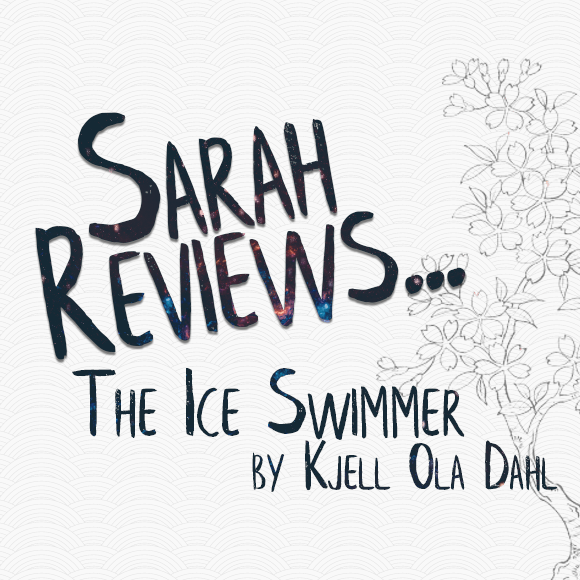 The first time this series came to my attention was when Orenda Books approached me and asked if I’d like to take part in the blog tour for The Ice Swimmer, although I’ve read some Nordic Noir previously. The Ice Swimmer begins with two seemingly unconnected cases, the suspected suicide of a drug user who is hit by a subway train – although the reader is treated to a little more information than the police to begin with – and the potential accidental death of a civil servant found drowned off City Hall Quay. Whilst originally treated as two separate cases by the Oslo Police when a man is shot having given Gunnarstranda a reason for Nina’s death it becomes clear that her death was no suicide, and Sveinung Adeler’s fall was no drunken accident but an intentional act. Throw into the mix a couple of powerful politicians and possible links to terrorism and Lena Stigersand and Gunnarstranda have their work cut out to convince their boss that the cases truly are connected, that this is a line of inquiry they should be following, and to find the evidence they need to see it through. It took me a little while to get fully immersed in the plot, I found maybe the first 50 pages slow going but once I’d gotten that far and threads starting coming together I found the story really picked up for me and I very quickly went from being easily distracted by an email coming through or a Facebook notification to being completely hooked and wanting to know the outcome. I think part of what took me so long to get into the story may have been the setting – There’s certainly nothing wrong with the setting at all, and Oslo is very well described in the book I just don’t know it at all myself. I guess it’s a personal thing, I simply find it easier to immerse myself in a story when it’s set in Edinburgh or London, amongst places and I know and streets I’ve walked, I guess it just makes it easier to create the accompanying images in my head. I think the other thing that I probably struggled with at the beginning was the characters – again there’s nothing I found particularly troublesome about them, it was more about keeping track of who was who, particularly within the police force. I think at least part of the reason for that was I’ve come into the Oslo Detective series quite a few books in and I imagine that most of the characters are already pretty well established and easily identified by those who have been reading Kjell’s books from the beginning. As I continued reading the characters began to separate for me and I found it easier to keep track of who was who and what they were doing in relation to the case. I think it helped me that the plot felt like it narrowed its focus to two key detectives – Gunnarstranda and Stigersand, while the other detectives played more of a background role. The Ice Swimmer worked perfectly well as a standalone novel, but as I was reading I felt the fact I’d not read the previous books in the series more keenly than some other books I’ve picked up mid series. I definitely felt that the characters had history that I was unaware of, it didn’t really affect the plot directly, but I felt there were little hints at a past event, or something that had affected the relationship between two characters that I was unaware of. I can sometimes be a little wary about translated fiction, does a translated book read as well as it does in its original language? I wonder if we’re missing little subtleties or are there some bits that just don’t translate well from the original language. In the past I’ve found them to be a little hit and miss – fortunately for me The Ice Swimmer fell into the former category. For me although it took a little time to get going it was definitely worth persevering through, suddenly little things started coming together and the plot really took off. Over the years Nordic Noir has become such a celebrated sub genre within crime fiction in the UK and The Ice Swimmer sits comfortably in there with some other great reads. I’d definitely recommend picking it up! I’ll be investigating some of the earlier books in the series.